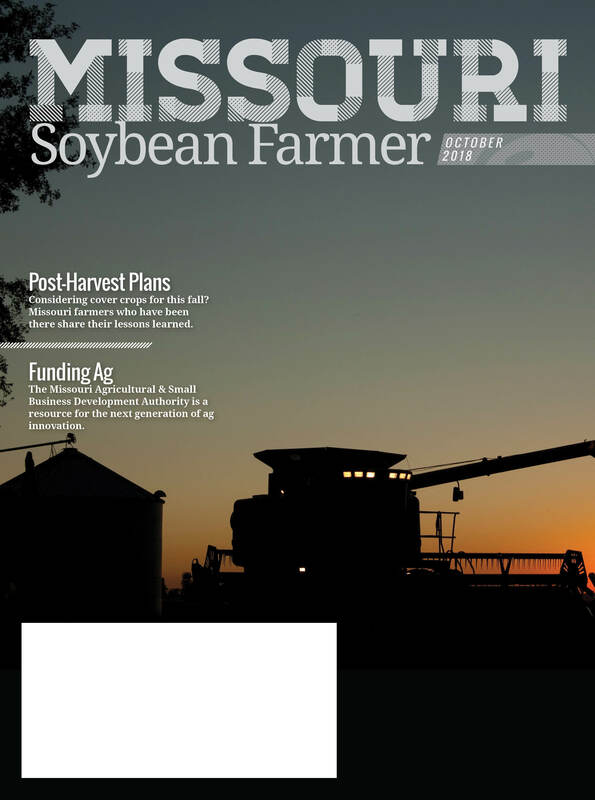 Cover crops and financial resources for farmers take center stage in the October 2018 issue of Missouri Soybean Farmer magazine. Learn more about the Missouri Agricultural & Small Business Development Authority, and hear first-hand from soybean farmers who have found success (and learned important lessons) through cover crops. Read the full issue online by clicking here.